The Big Brother of the Hampton Pebble Small Center, the Large Center can be a fabulous armless loveseat or joined as part of a greater Hampton set up! 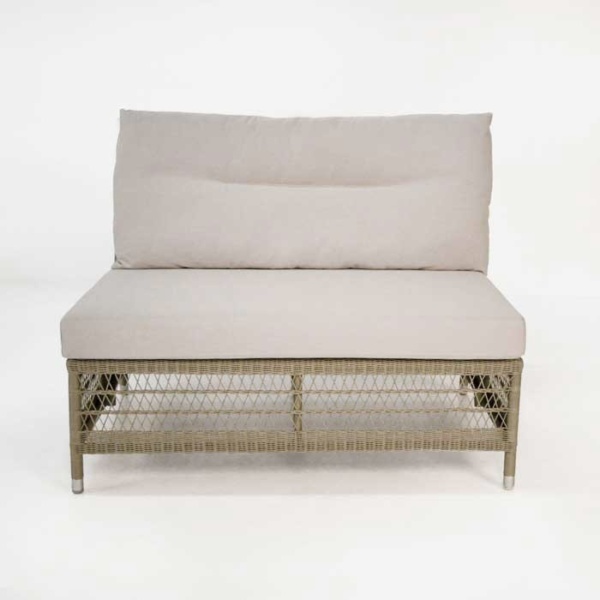 The Hampton Collection, part of the new 2014 collection at Teak Warehouse, is the best of the old and the new. With a classic design, reminiscent of resort and estates in Europe in the early 20th Century, but using stunning modern materials; we believe that this is a Collection you will enjoy for years and years to come! W44" x D34" x H34"
Try placing several Hampton Pebble Large Centers next to each other for a long, lavish sofa to fill a large space. Need some arms? Place a Hampton Pebble Corner on either side of the centers to polish off your look. Create a ‘C’ or an ‘L’ shape by pairing this up with a Corner and a Hampton Pebble Left or Right Arm. No matter which way you play it; the Hampton Pebble Large Center is an extraordinarily beautiful, and versatile piece. 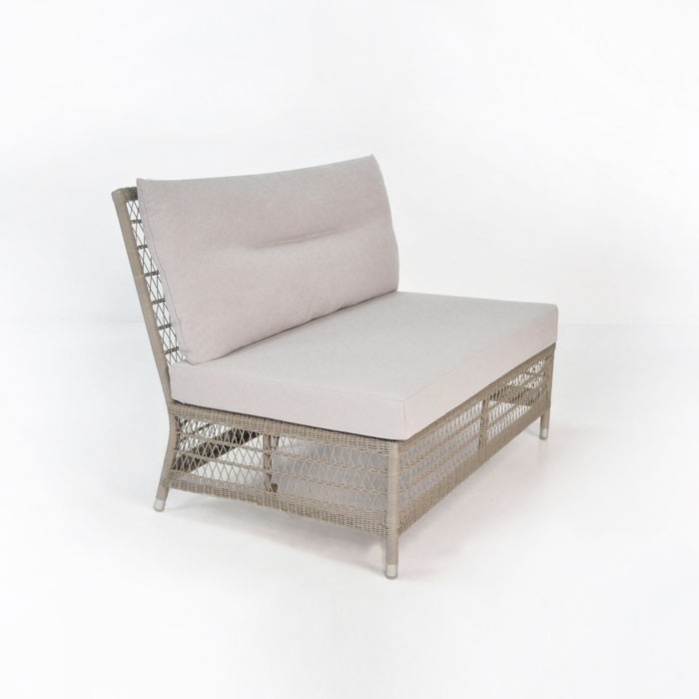 Constructed using the finest Viro® wicker, recognised for its high quality, environmentally friendly principles, strong polyethylene fabric that is non toxic and has been UV treated, so you know that you have a product that will last the distance. This particular weave is finer; shaped into a fabulous diamond pattern which looks dainty but is ultimately durable. Our Sunbrella® cushions are filled with QuickDry® foam to get rid of, expedite any moisture that tries to get in. Sunbrella® fabric has long remained a sought after marine quality product for its staying power, colour preservation and gorgeous look. The Hampton Pebble Large Center comes complete with FREE Sunbrella cushions!